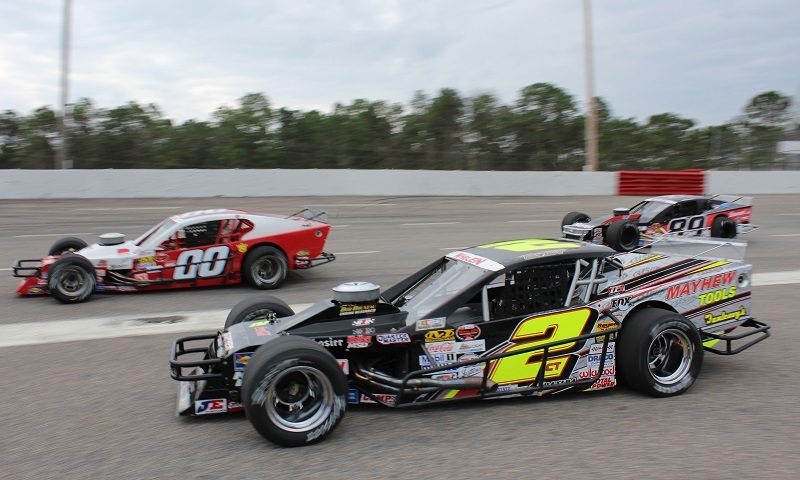 STAFFORD SPRINGS, Conn. — When the NASCAR Whelen Modified Tour invades Stafford Motor Speedway on Friday night, there will be plenty of headlines for fans to keep an eye on. Leading that list of headlines is the fact that defending and four-time champion Doug Coby sits outside the top five in the point standings. In 2016, Coby broke records on the series, winning his third straight championship and becoming the only driver in the modern era to accomplish the feat. But this season, things have turned the opposite way for the Milford, Conn. driver. Coby started the season with a 13th place finish at Myrtle Beach after only being able to muster a 22nd-place qualifying spot. At the time, it didn’t seem like much to worry about. Coby was heading for the Icebreaker at Thompson — a place he swept all four races at in 2015 — and most thought Coby would find himself right back at the top of the pack. However, he didn’t get the chance. Contact from behind under caution on the first lap of the race sent Coby into the outside wall and destroyed his No. 2 Mayhew Tools Chevrolet. Leaving Thompson, Coby headed for Stafford and unloaded the dominant car, winning his sixth-straight Stafford pole. However, in the crucial final laps of the race, Coby was passed for the lead by Ryan Preece and had to settle for second. Although he couldn’t capture his fourth Spring Sizzler win that afternoon, a second place finish was everything he needed to pick up crucial points. Would the Stafford finish build momentum for him? No sir. While leading the race in the final laps at Langley, Coby and Timmy Solomito made contact and Coby went spinning with just a few laps to go. He ended up finishing 15th. In the three races since then, Coby has finished inside the top five twice, including two consecutive strong runs of fourth at Thompson and third at Riverhead Raceway. Then, in the final stages at New Hampshire, Coby was on track to capture a third straight top five finish. However, in a heated four-car battle for the win, Coby and Ryan Newman made contact that sent Coby spinning. Chalk that one up as some more bad luck for the 38-year-old, who ended up finishing 11th. So, leaving New Hampshire and heading for the Stafford 150 on Friday night, Coby finds himself seventh in the point standings, trailing leader Rowan Pennink by 42 points. If he wants to capture a record-breaking fourth straight championship on NASCAR’s oldest touring series, the upcoming stretch of races will be crucial.